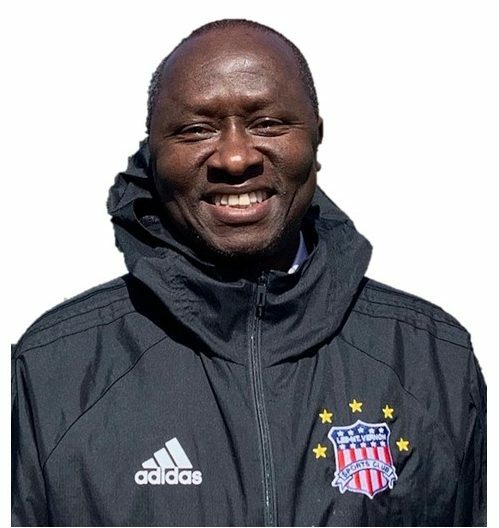 With over 30 years of experience, Sam Okpodu will serve as the Director of Coaches for the U13 through U19 teams. He began his career with the Nigerian National Team. During that time, he was able to train and play in Brazil, Spain, and England. He earned his UEFA “A” Coaching License while in Belfast, Northern Ireland. He received his USSF “B” license and the NSCAA Advanced National Coaching Diploma. He is the Atlantic Coast Conference’s all-time leading scorer with 193 points and was named three times first team All-American. “I am excited to be a part of the ever-growing Lee Mount Vernon Sports Club and to serve in such a diverse population of families and players. I look forward to working with coaches, players and families to provide the best professional level training for our competitive players so that they are ready to successfully compete at the state, regional, and national level,” Sam stated. Sam also played as a starter for the Orlando Lions Professional Soccer Team. Sam started the women’s soccer program at Virginia Tech. He led the Nigerian Women’s National Team to win the African Women’s Championship, qualifying them to play in the FIFA Women’s World Cup in the United States. He later went on to serve as the Men’s Head Soccer Coach at Newberry College. As Executive Director of the South Carolina Youth Soccer Association, SCYS hosted the USYS Youth National Championship as well as the regional championship while growing the number in South Carolina to 24,000 players. Most recently as Head Coach, Sam qualified the Warri Wolves FC Premiere Team to the African Champions League.